If you’ve never heard of powerline adapters before, we wouldn’t blame you. It’s an extremely useful technology, but not necessarily one that has received mainstream popularity. 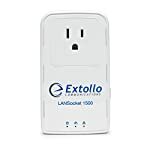 Powerline adapters allow you to send an Internet connection over your household’s electrical wiring. They’re the perfect solution for those who don’t want to worry about spotty wireless networks. Not only that, but with a Powerline Adapter you don’t have to have long Ethernet cables routed through your entire home. So how does a powerline adapter work? To start out, you need two adapters. The first has to be in a wall outlet close to your router. Plug in a short Ethernet cable from your router to the powerline adapter. Next, your second powerline can be placed anywhere else in the home, ideally close to a desktop or laptop. From there, just plug in a short Ethernet cable to this second powerline adapter, and then to the input device. Now you’re getting an Internet connection over your home’s electrical wiring! If you’re ready to get rid of all the insane and unsafe wires in your home, or at least reduce how many you have, then it’s time to pick up a powerline adapter. Follow along below, and we’ll show you the best that you can outfit your home with. First up, we have the Zyxel AV2000. This package gives you two powerline adapters to get started with. These are Gigabit powerline adapters, outfitting your network with efficient 4K video streaming and lag-free online gaming. 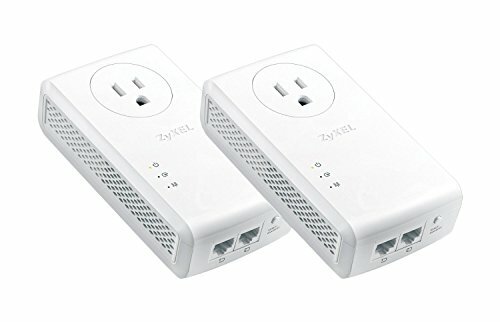 These powerline adapters can connect up multiple devices, as they are each outfitted with two Ethernet ports. These are easy to setup — even for the layman — as they have a great plug and play functionality. This particular model — the AV2000 — is designed for fast, efficient, secure, and low-interference Internet access. That said, you shouldn’t run into problems with other electronic frequencies interrupting your connection. As you know, TP-Link is a prolific maker of networking tools — they make great routers, WiFi extenders, switches, security cameras, and so much more. They take that same expertise and apply it to their powerline adapters as well, in this case the AV600. This is a starter kit, so you get two powerline adapters to outfit your home with. They are rated up to 600Mbps, so if you’re Internet connection supports it, you won’t have trouble pulling down 4K content or multiple video streams. Next up, we have the Netgear Powerline Adapter. Netgear is another well known company in the networking industry, and as you might imagine, they offer excellent powerline adapters. This is another starter kit, so you get two powerline adapters with your purchase. These adapters support a whopping 2,000Mbps, so these are most optimal for those that have a Gigabit Internet connection or better. Each adapter has two Ethernet ports, so you can connect up multiple devices to a wired connection at once. With this type of Gigabit speed, you won’t have trouble pulling down 4K Netflix content or experiencing lag-free online gaming. 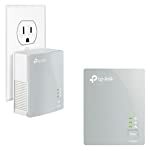 The D-Link Powerline Adapter is another excellent option for those that have Gigabit Internet connection and have never used a powerline adapter before. This starter pack gives you two — one to outfit with your home router and another for any other devices you might want to hook up. These only have a single Gigabit Ethernet port, unlike the other adapters we’ve featured. Perfect for those who want a plug and play solution, these will have no problem pulling down 4K content. 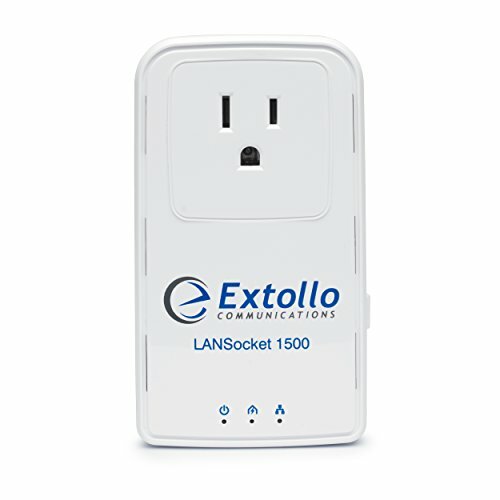 The Extollo Ethernet Powerline LAN Socket might be last up on our list, but it’s still a formidable contender in the powerline adapter market. You only get one powerline adapter in the package, but it’s capable of a Gigabit connection rated up to 1,500Mbps. If you don’t already have a powerline adapter, you will need to buy two of these, but with a plug and play methodology, you can be up and running in a few seconds. There’s no configuration required! A powerline adapter setup is a neat way to clean up your Ethernet cable mess and ditch the ever unreliable WiFi connection. Plug a couple of these in throughout your home and you’ll get stable and fast speeds without the cable mess. Our favorite option might be the option from Netgear, providing you with support up to 2,000Mbps.